Why Attend The Cherry Blossom Festival Japan? You’ve seen the pictures: tree-lined avenues in full bloom, petals falling like snow, rivers turned candy-floss pink as if flowing through some fairytale world. But have you ever experienced The Cherry Blossom Festival Japan with your own eyes? 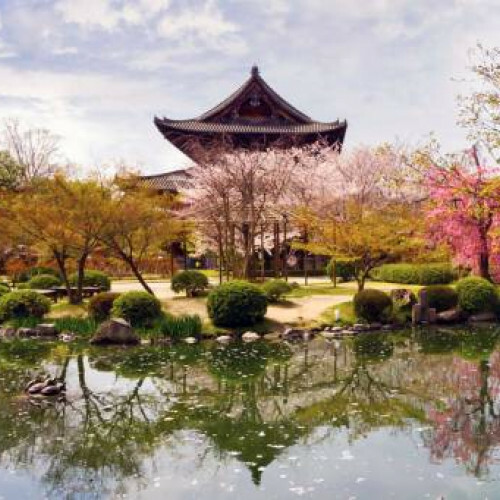 If not, it’s high time you popped your cherry blossom cherry because the famous gardens of Kanazawa are one of the most romantic locations you'll ever visit. Science Fact! Cherry Blossom season in Japan is revered as one of nature's miracles. Imagine a thousand tiny flowers blooming all at once across the spindly branches of a startlingly beautiful cherry tree. 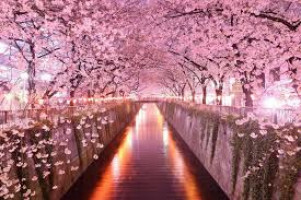 Now multiply that by all the cherry trees in Japan and the result is heavenly! What Makes This 13-day Tour of Japan So Amazing? This 13-day tour is the perfect way to experience Japan in springtime. It starts with the bustle of Tokyo and takes you to the iconic Matsumoto Castle, through charming villages in the Hida Mountains and the breathtaking gardens of Kanazawa at their cherry-blossomed best. Next, you'll enjoy the rich cultural history of Kyoto, find peace at the Zen Buddhist temple of Kinkakuji, and explore Gion; the famed Geisha district, where you’ll witness young Japanese women performing the Spring Geisha Dances. All throughout the countryside and villages, you’ll find spring’s kiss of snow white and blushing pink, around every corner a scene so blooming beautiful (pun intended) you’ll want to freeze the moment in time so you can keep it forever. So best pack your camera: it’s the next best thing, and you’ll definitely want to use it. A lot. 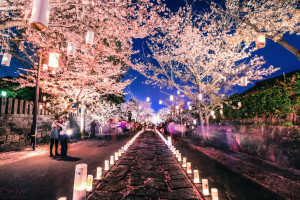 Cherry Blossom Festival Japan is a fairytale world come true!